What can brighten the day more than an unexpected happy message? 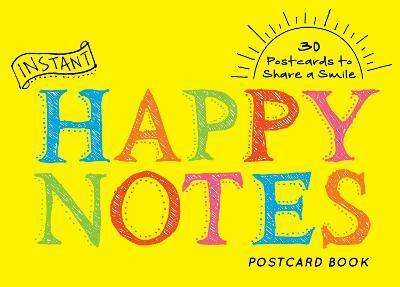 Instant Happy Notes Postcards provides 30 bright and happy postcards designed to share the smiles. Make someone's day a little more happy with the perfect postcard pick-me-up. This little book is filled with happy cheerful messages, quotes and doodles that can make a big impact through a little gesture.